Uganda has today joined the rest of the world to celebrate the World Intellectual property (IP) Day which annually falls on the 26th of April. The Day is intended to promote discussion on the role of intellectual property in encouraging innovation and creativity. The International Intellectual Property day is cerebrated on the 26th April but since it fell on Saturday, the celebrations in Uganda were pulled to Thursday 24th April, and were held at the National Theatre gardens in Kampala. This year the focus has been put on Movies under the theme “Movies: A Global Passion”. This is aimed at uplifting the movies in the world, their role in a society and their impact on development in a country. 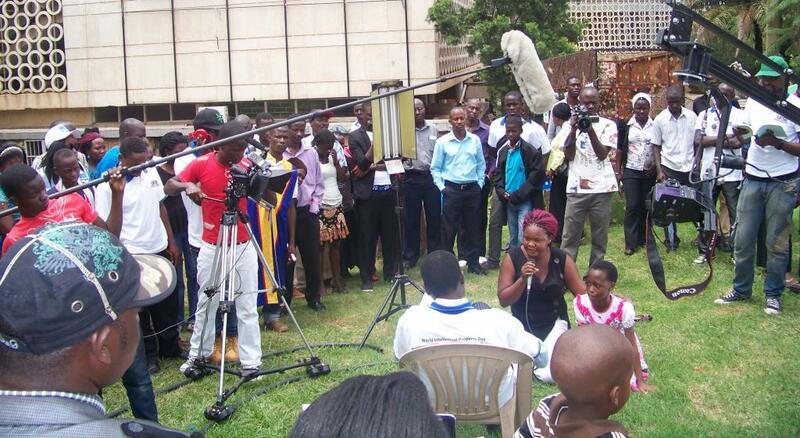 The cerebrations in Uganda under the theme “Emerging opportunities for Uganda” involved a match from the offices of the Uganda Registrations Services Bureau (URSB) to the National Theatre where Exhibitions, Speeches, and skits were performed. The celebrations were concluded with a show of a Ugandan Movie in the National Theatre Auditorium in the afternoon. 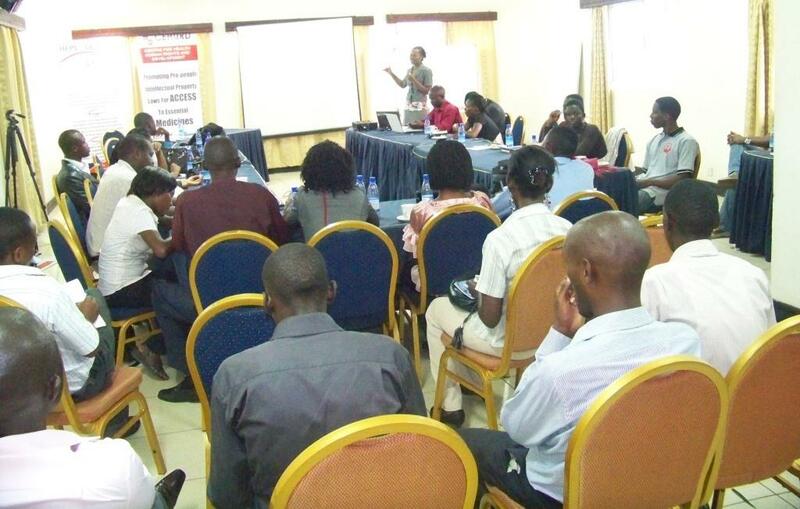 balance between Intellectual Property Rights and Public interest, we organized a press briefing on Intellectual Property on Wednesday 23rd, 2014 at Fairway Hotel in Kampala. This was in partnership with HEPs Uganda under the Coalition to Promote Access to Medicines and during the media briefing, 20 journalists were present as was the Director of Intellectual property at URSB, Ms Juliet Nassuna who officiated the briefing. To ensure a balance between Intellectual Property and public interest, Ms Primah Kwagala, Programme Manager at CEHURD made a Key note presentation to the media on key issues to note on Intellectual Property, access to medicines and related Public Interest Concerns to note on World Intellectual Property Day. 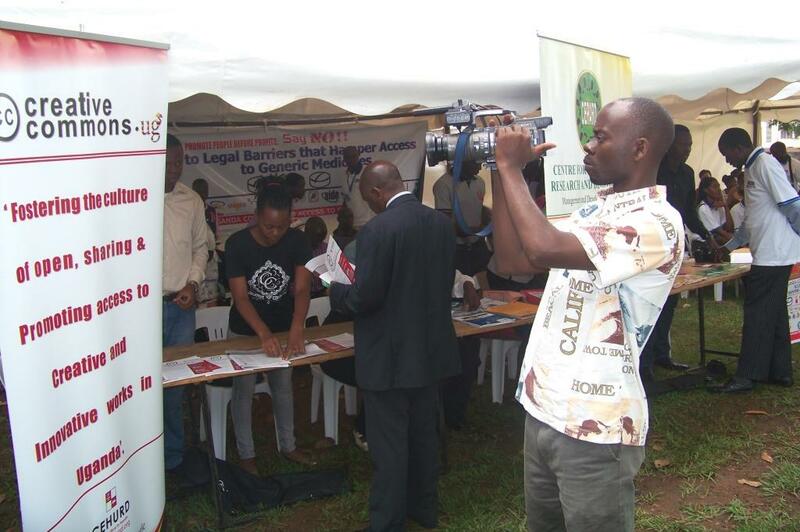 During the exhibition at National theater, CEHURD focused on popularizing the Creative Commons (CC) licences the organisation has been working on and this was done by utilising the several IEC materials on Intellectual Property and Access to Medicines, that were show cased at the organisation booth where different people got a chance to interact on the public needs of Intellectual property enforcement.